The creation of a military telephone system opened up new opportunity for female service since civilian telephone operators were almost exclusively female. As Col. Parker Hitt, chief signal officer of the U.S. First Army, explained: “[A]n Army telephone central would have to have American women operators to be a success. 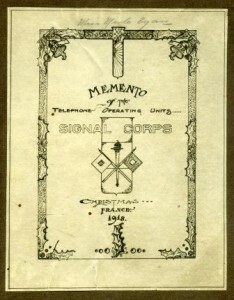 Our experience in Paris with the untrained and undisciplined English-speaking French women operators, and experience elsewhere with the willing but untrained men operators was almost disastrous.” Thus, in November 1917, General Pershing requested that the War Department deploy one hundred French-speaking American women with telephone operating experience. 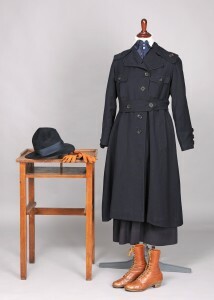 Thousands of women applied and the first of these “Hello Girls” traveled overseas in the spring of 1918. Affidavit of Merle Egan Anderson, State of Washington, County of King. March 29, 1976. Copy courtesy Mark Hough. “An All-Telephone Wedding.” Mountain States Monitor, n.d., 21. Copy courtesy Mark Hough. Anderson, Merle. “The Army’s Forgotten Women,” n.d., t.s. Copy courtesy Mark Hough. ___________. “Battling the Pentagon,” n.d., t.s. Copy courtesy Mark Hough. Evans, Martin Marix. American Voices of World War I: Primary Source Documents, 1917-1920. London: Fitzroy Dearborn Publishers, 2001. Frahm, Jill. 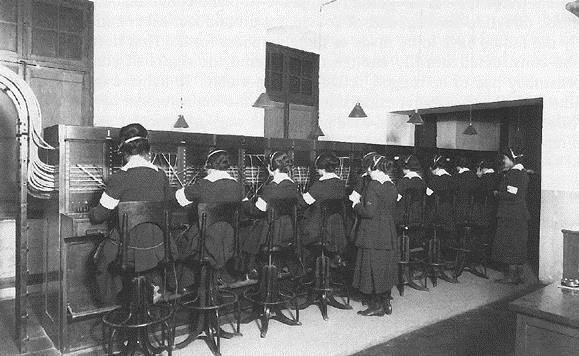 “The Hello Girls: Women Telephone Operators with the American Expeditionary Forces during World War I.” Journal of the Gilded Age and Progressive Era 3, no. 3 (July 2004), 271-93. Zeiger, Susan. In Uncle Sam’s Service: Women Workers with the American Expeditionary Forces, 1917-1919. Philadelphia: University of Pennsylvania Press, 2004.